All Northwest DC including all Uptown neighborhoods, Tenleytown, Cleveland Park, North Cleveland Park, American University Park, Chevy Chase, Glover Park, Woodley Park, Spring Valley, Wesley Heights and Kent; and all downtown neighborhoods, including Georgetown, Kalorama, Mass Ave Heights, Dupont, Foggy Bottom, West End, Logan, Columbia Heights, U Street and Chinatown. Margot has been recognized by Real Trends, as featured in The Wall Street Journal, as one of the top real estate agents by sales volume in DC for 2016 and is regarded as one of the top real estate professionals in the Capital Region. After graduating from Boston College, Margot moved to Washington, DC to attend law school and work on Capitol Hill for the Honorable Thomas P. (�Tip�) O�Neill. After law school and admission to the bar, she served as counsel to the Committee on Energy and Commerce of the U.S. House of Representatives and in the Office of the General Counsel of the Federal Energy Administration and the Department of Energy. She later served as counsel to the Northern Tier Pipeline. Since 1984, while raising four children, Margot has sold real estate at the highly acclaimed firm Arnold, Bradley, Sargent, Davy & Chew, which merged with Washington Fine Properties in 2009. I�d like to call your attention to a miracle just off 34th Street. This past fall, my long-retired father needed to move from his large Cleveland Park home to a more suitable and manageable place. He�d lived alone in this historic house and highly desirable location for many years, but the property had become uniquely distressed in a way that made it difficult to maintain, finance, or sell. The complex challenges posed by this property are thankfully rare, but had scared off more than a few. WFP�s Margot Wilson and Sabrina Paige accomplished what others said was impossible: Within a tightly constrained timeline, together they quantified the myriad issues with the property in a way that made it possible to concisely show its actual and potential value. Margot listed and targeted the right range of interested and qualified buyers without flooding my father with unmanageable walk-throughs. She secured a sale with a highly motivated buyer at a bid higher than we�d hoped. And amazingly Margot negotiated terms and timeframe of the closing so that it allowed my father significant flexibility on a complicated move-out. As if that wasn�t enough, Margot and Sabrina immediately turned around and pulled off an equally astonishing job of finding a new home within the District that fully met my father�s frankly-unreasonable requirements. With Margot�s expertise finding suitable property matches across the city and Sabrina�s extraordinary perseverance moving my father forward through the process, they distilled his choices within the constraints of the previous sale and pinpointed what is now my father�s new house. They also resolved numerous property and contract issues missed by the seller and averted major messes that could have ruined the closing. This team of Margot and Sabrina caught everything; they made it happen. We, the rest of the family, are grateful and thoroughly impressed at their patience, resourcefulness, and professionalism. While we joke about a �miracle,� we know this was serious work; we cannot thank Margot and Sabrina enough. We simultaneously bought and sold houses with Margot and Sabrina as agents. Margot is highly professional in handling the many steps of selling and buying a house. She gave us very good advice on several technical questions, gave frank opinions on value/quality of the houses we looked at, and prepared timely, careful documents. We had a problematic house to sell, and Margot got it sold as a private placement quickly and for a good price. She and Sabrina arranged for us to see as many houses as we wanted (and I cast a very wide net). We made life difficult for them, but Margot handled every complication with good-natured aplomb, e.g., one of us was a non-US citizen (this complicates selling) who was in Hong Kong or Delhi half the time, we wanted an eleventh-hour look at a house just on the market after the search seemed over, and we jumped on that house, which required rapid preparation of faultless documents. Margot was great in finding us a perfect home for me at my (at-the-time) pregnant wife. We're so happy with our new family in our new home. And, she helped us navigate a temporary slowdown in the condo market to get our condo sold. My husband and I met Margot Wilson 26 years ago when we walked into an open house that she had listed in Cleveland Park. Although we admitted that that house was slightly beyond our price range, she could not have been more gracious and friendly. As we described the kind of house we hoped to find but which we had not been shown, she told us about a house that she knew would be on the market within a few months. Margot then gave us the Cleveland Park address so we could drive by ourselves to see if we liked it. But we didn�t like it; we loved it. It was exactly what we were looking for, and Margot arranged with the owner to give us a private showing before it went on the open market. Of course, it never went on the market because Margot negotiated the sale with such expertise that the owner decided to forego listing it. Margot then listed our Chevy Chase, MD, house, and within a few weeks we had multiple offers. Margot�s business acumen, personal warmth and sense of humor elevated the process of buying and selling real estate to a level we had not thought possible. From that casual encounter during a Sunday open house, not only did we end up with a fabulous Cleveland Park home but also with a fabulous friend and neighbor � Margot Wilson. Rachel and I would like to thank you for representing us on the sale of our house at 2946 Newark Street in Cleveland Park. Your advice and patience were invaluable. You eased the process of putting the house up for sale, and your knowledge of and long experience with the DC and Cleveland Park real estate market were incredibly helpful. Most of all, your calm and thoughtful approach dealing with issues made working with you a pleasure. Margot Wilson is a joy to deal with. She is one of the top agents in the District, especially for higher-end homes. 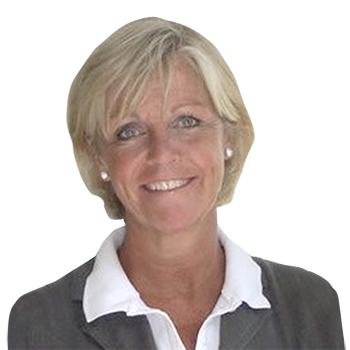 Margot knows the market, gives wise counsel, and deals with her clients collegially and patiently. We could not have had a better experience, and felt she earned every penny of her commission. Margot and her team made searching for a house in a very competitive market seem easy. By providing us with listings the minute they hit the market and being available in a moments notice to show us houses, we were able to place a bid on our dream house prior to the open house. Their efficiency, attention to detail, and tenacity made the buying of our new house and the selling our previous home go smoothly. We sold our former home in a weekend with multiple bids, and we are convinced that Margot's advertising, contact with other listing agents, and the willingness to hold two open houses in one weekend made this happen. Kudos to Margot, Lindsey and Luke! I am writing to thank you for an outstanding and comprehensive effort in the marketing and sale of 2329 California St., NW on my behalf. No doubt this is the most challenging real estate market in decades which makes the successful outcome even more notable. I have bought and sold numerous properties in the Washington metropolitan area over the years both for personal use and as investments. The highly coordinated team approach utilized by Washington Fine Properties is second to none in my experience. The front end prepping of your client, the in depth market analysis you provide, and the strategic advice for launching the sales effort were most professional. Then the deployment of your many resources in executing the sales strategy was truly impressive. And, of course, your willingness to give me candid and honest advice at every point in the process kept my perspective and expectations realistic. Like many transactions we had a bit of excitement as we approached the closing. The fact that WFP�s President, Tom Anderson, would become personally engaged in working out the last minute hiccups to everyone�s satisfaction goes well above normal expectations in your business and underscores why WFP is so far ahead of your competitors. Needless to say, I have had many very positive experiences with Margot over the years and have every intention of continuing that relationship into the future. The merger of her former firm into WFP has given her resources she had not previously had at her disposal and only heightens her stature as one of the premier agents in this high end sector along with Bill and Robert. Going forward, and there will be more transactions, I look forward to engaging the WFP team to assure successful outcomes. Today Margot helped my partner Andrew Weissman successfully negotiate the purchase of 16 Kalorama Circle. This is the culmination of an arduous adventure through which Margot has proven to be an invaluable, soothing asset. I am sure that it comes as no surprise to you that her professionalism over this three-year search has been extraordinary. Margot was patient beyond measure as we traipsed through house after house. She was so responsive to our ceaseless quest for the right house at the right price that I wondered how she could maintain such enthusiasm and good humor month after month. We observed that Margot is respected by agents in her office as well as agents outside. Just having her on our team gave us confidence that our needs were being conveyed and taken seriously. She offered advice when appropriate and never made us feel that getting a sale was more important than finding a home we would love. Margot possesses great charm bundled in enormous energy. No doubt you would die to have an entire team with her work ethic!